Hello again! I'm here today with another book review. I received a copy of What Would Jesus Post? by Brian D. Wassom from BookLook Bloggers. 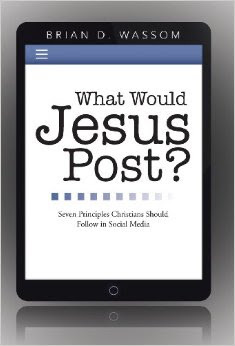 This book gives seven principles for how Christians should act on social media. These include think before you post, don't try to act like something you're not, guard your heart, don't be too distracted by social media, don't be a stumbling block for other people, be a peacemaker, and build genuine community. While this is aimed for a Christian audience, I think that these principles are ones that every person on social media should be following. 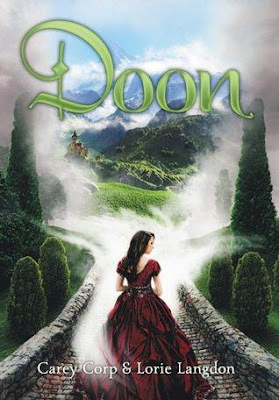 Today I am reviewing the book Doon by Carey Corp and Lorie Langdon, which I received from BookLook Bloggers. I was so excited to receive this book because I have seen many reviews on it and heard wonderful things about it. I couldn't wait to pick it up and start reading. Unfortunately, I didn't get to read as much as I did last month, and I didn't stick to my TBR list at all. School has been keeping me insanely busy, and I've been knitting/crocheting a lot of Christmas gifts lately. Also, I was having some trouble getting into the two books that I'm currently reading. So, here's what I read in November. I actually read a lot in October, which surprised me since I had a lot of homework last month as well. I also didn't stick to my TBR list that I posted last month. This is because I had to read a few books for school. I also borrowed a couple of books from friends, and I try to read books that I borrow quickly so I can give it back right away. The Lost Hero by Rick Riordan 5/5 starsThe Kneeling Christian by Anonymous 5/5 starsWhat Alice Forgot by Liane Moriarty 4/5 stars Alice in Zombieland by Gena Showalter 4/5 starsThe Prodigal God by Timothy Keller 4/5 starsCracking India by Bapsi Sidhwa 2/5 starsThrough the Zombie Glass by Gena Showalter 3/5 starsRunning out of Time by Margaret Peterson Haddix 4/5 stars I'm hoping that I can read that much this month, too. Reading even more would be nice, especially since I'm way behind on my goal for the whole year. Unfortunately, I have limited space in my apartment at my new school, which means that I could only take a couple of books with me when I moved. 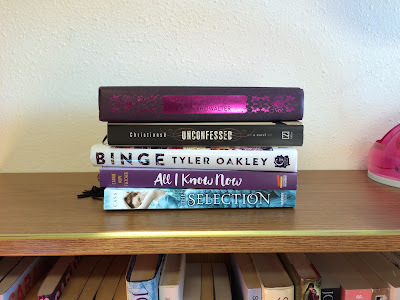 These books are ones that have been in my TBR mountain pile for a long time that I really wanted to read, but just haven't gotten around to it yet. I realize I'm a little premature with this TBR, since it's still September, but with how busy I am with school I probably won't be getting to read much until October. 1. The Lost Hero by Rick Riordan I have heard really good things about this author, though I haven't read any of his other books yet. I think it's in the same sort of universe as the Percy Jackson series. I've read a couple of chapters so far and I'm really enjoying it! 2. 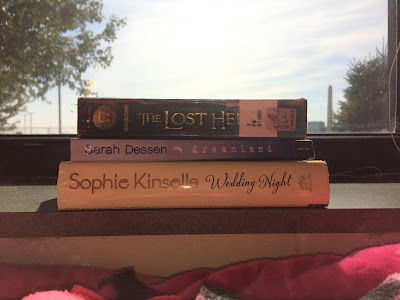 Dreamland by Sarah Dessen I really love some of Sarah Dessen's books, while some are just okay. This book is pretty short, so it will be a nice, quick read. The book I want to tell you all about is Beneath the Surface by John Hargrove. 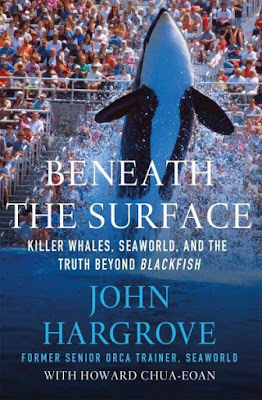 The author, John Hargrove, is a former SeaWorld orca trainer. A few months ago, I watched the documentary Blackfish, which talks about the treatment and lives of the whales at SeaWorld, and all of the dangerous incidents that happened with the whales leading up to the death of trainer Dawn Brancheau. John Hargrove is one of the trainers who spoke in the film about what really happens at SeaWorld. So some pretty exciting things have happened. I recently moved two hours away from home to a new university. How scary is that! I really love it here so far (apart from the classes haha), and I'm really looking forward to some new experiences. Also, in August, I went to Chicago for two days with my mom and my sister. My sister wanted to go to the Art Institute of Chicago, and I wanted to go to the Shedd Aquarium, so that's exactly what we did! I saw so many amazing paintings at the Art Institute. 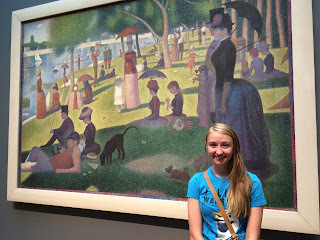 I saw some by Monet and Van Gogh (some of my favorites! ), which I really wasn't expecting. I live in kind of in the middle of nowhere and I had expected such famous paintings to be in New York or Paris. It was such a great surprise seeing them so close to where I live! We also did a bit of sightseeing-- you can't go to Chicago without seeing the "bean"! Last week, I went on vacation with my family. We drove from Wisconsin all the way to California and back. 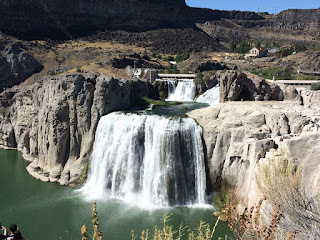 We drove through Wisconsin to Minnesota, Iowa, Nebraska, Wyoming, Utah, and stopped in Reno, Nevada for a few days. We went into California a few days in a row but stayed in Reno each night. Going home, we drove through Idaho, Montana, North Dakota, and Minnesota, and then back to Wisconsin. One of the first places we stopped on the trip was the Great Salt Lake in Utah. It really is huge! You could hardly see the land on the other side. Shortly after than, we saw the Bonneville Salt flats. It's literally miles and miles of natural salt covering the ground, and it's where quite a few speed records have been set. In Reno, Nevada, we stayed in a hotel called Circus Circus. So the other night, I attended an event in my town called Chalk Fest. 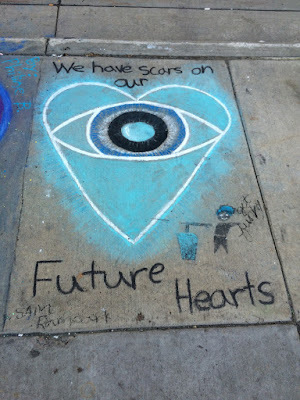 At Chalk Fest, people can draw on the sidewalks of my city's square. It was so great to see all of the things people drew, and I am always so amazed by the talent some people have. Aren't these amazing?? I got especially excited about the All Time Low one!